Dangit, I wrote out a long introduction post but my internet deleted it and my computer's about to die. You're going to have to deal with this one. Hai! welcome to the forum. Hey Emerson, welcome to FT! You like astrophysics? That's really awesome! I'm looking forward to the chance to do some of that in my AP Physics course this year, as well as the electricity and magnetism stuff. If your computer has swappable batteries, maybe pick up a second one? I've found having two to be incredibly useful. LB1 is a good brand. On that topic, I love computers, so if you're ever wanting to talk about that (or cars, or physics, or just want to make friends) please do go ahead and PM me! Cats are cool. Astrophysics also cool. 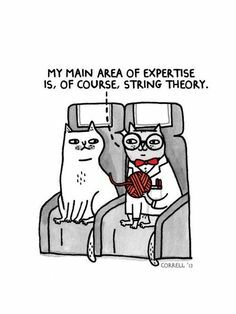 You might say many cats are experts in- (•_•) / ( •_•)>⌐■-■ / (⌐■_■) -string theory. Have a cookie and enjoy your stay!